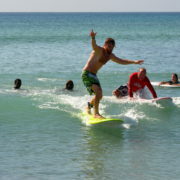 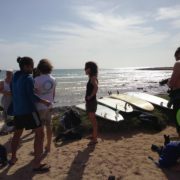 Whether you are a advanced, intermediate or beginner surfer our surf trip if definitely for you! 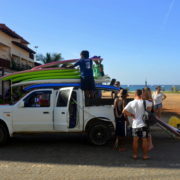 We meet at the school in the morning and get boards, wetsuits and surf shoes for all our clients, we then travel to the westcoast by pick up truck and once there we have lessons going on in the water for the beginners and if needed a guide for the advanced people. 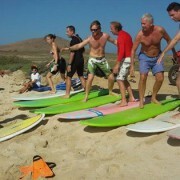 You can choose if you want a lesson or you just want to rent the board. 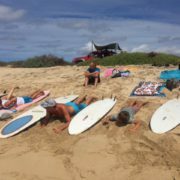 We do a lesson/ session in the morning then break for a BBQ lunch and some beers and then have another session/ lesson in the afternoon. 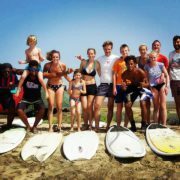 If you would like to Prebook a surf trip please highlight the week you are on holiday as we need to choose a day with a good wave forecast.